Hedi Moran was born in a small Norwegian coastal village. At the age of nine, she and her family moved to the United States, where they settled on the east coast. Hedi’s given birth name was Aase Pederson, but the children in her new school found it difficult to pronounce. Her father remedied the situation by giving her the nickname Hedi, after the famous actress Hedi Lamar. Hedi Moran was exposed to art at an early age, as both her grandfather and mother were artists. She was greatly influenced by her grandfather’s colorful paintings of ‘ships against the sea’ and her mother’s award-winning Scandinavian folk art paintings, with their lush bright colors and intricate floral patterns. She knew that one day she would follow in their footsteps and make art her life’s work. Hedi Moran moved to the west coast after she was married and began her formal training in oil painting in 1973, at the Art League of Los Angeles. It was here, that she received instruction in still life from the artist Joyce Pike. 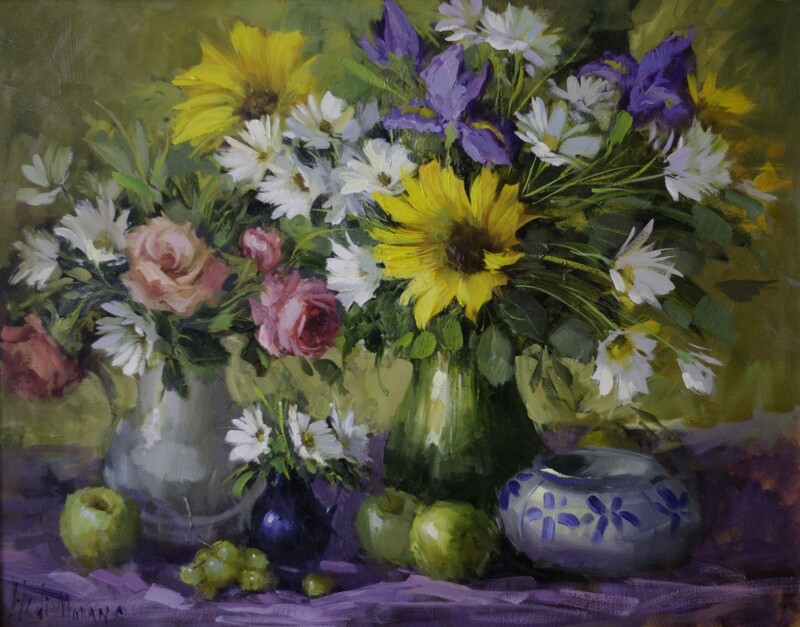 This particular instruction had a tremendous impact on her and thus, began her passion for painting still lifes. Hedi and her husband moved to Scottsdale, where she soon found herself residing in a large community of artists within a relatively small community of people. She became involved in forming an artist’s league, at the request of a very close friend, who thought that Scottsdale, Arizona needed an organization such as the Artists League in New York City. A group of local artists began giving workshops for this new artist’s association and created what is now, the extremely well-recognized Scottsdale Artists League. Moran served as the President and Show Chairman for this organization in 1980. Hedi has studied several different styles of painting over the course of her career, with many well-known artists. 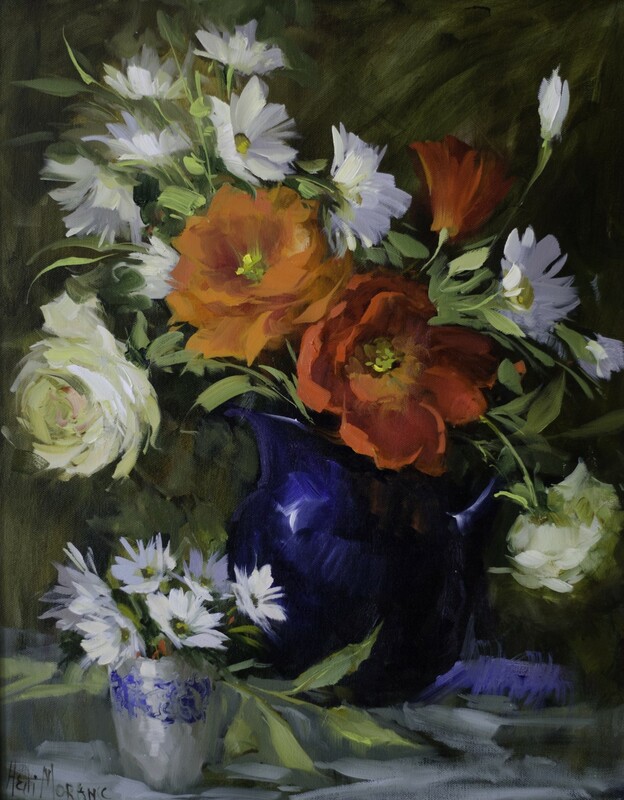 She has studied portraiture with Richard Schmid, landscape with Richard Thompson, still life painting with Mark Daily, and florals with Joni Falk. Hedi’s own style combines realism and impressionism in her richly colored still life oil paintings. 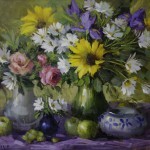 Her florals are bathed in light and reveal carefully cultivated compositions and brilliant brushstroke techniques. Moran’s paintings have been featured in Art of the West and International Artist. 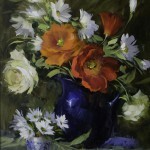 Reproductions of her work also have appeared in “The Best of Flower Painting” by North Light Books. Hedi received a Best of Show and Best of Oils awards in juried shows at the Scottsdale Artists School. 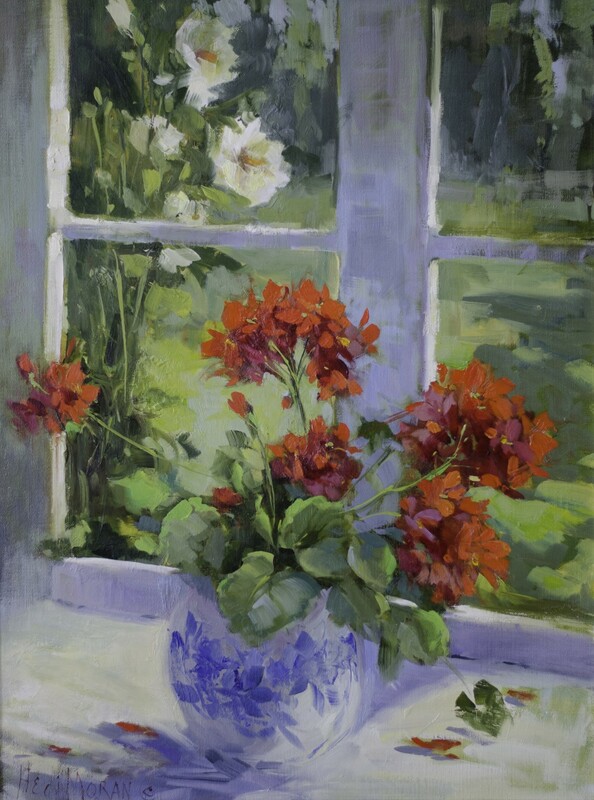 Most recently, she received a Merit Award at the 9th Annual Oil Painters of America Juried Exhibition for her painting “Gifts of Autumn” and she was chosen as a finalist in the 2001 and 2002 International Artist Floral and Gardens Competition. 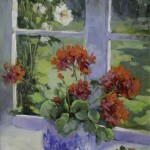 She also participated in the Tenth Annual 2001 National Juried Exhibition of Traditional Oils. Hedi Moran’s other artist member associations include: The Oil Painters of America, the Valley Artists League and the Arizona Artists Guild.